Kirkwood Library Services has a wide array of materials available to students, faculty, and staff, both on and off campus. 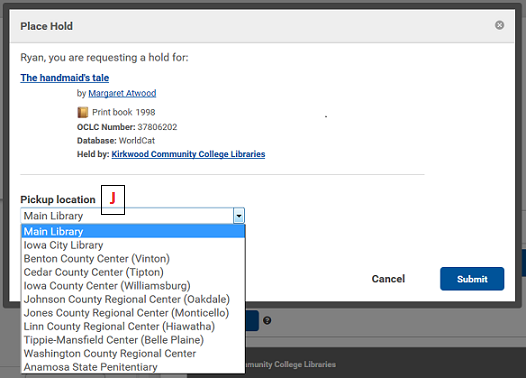 Books and other physical materials held by the Cedar Rapids or Iowa City Libraries can be searched using the WorldCat Discovery search, and can be delivered to any Kirkwood location. 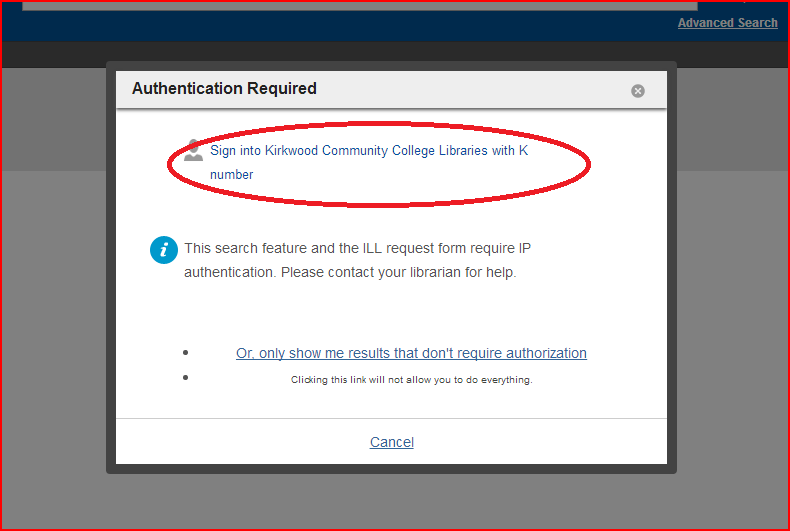 All resources are searchable from Kirkwood Library's homepage, www.kirkwood.edu/library. 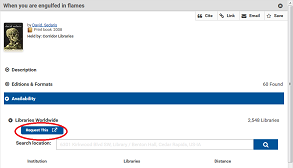 Find books in print, ebooks and articles in your Kirkwood library's catalog. 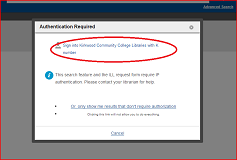 As a Kirkwood faculty, you can access almost all Library resources from your office. In addition to the wealth of digital resources you can access through our databases, you can also search for books and DVDs held by both campus Libraries, and have those items delivered to your campus mail box. For assistance with VOD, contact Scott Stiffler or Phil Meaney. 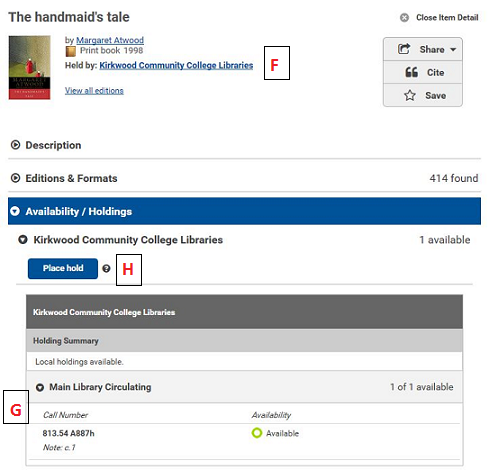 Videos placed in Kirkwood’s Video on Demand (VOD) collection are accessible through Talon’s Learning Object Repository (LOR). To add VOD to your Talon course, go to the Course Content section of your Talon site. In the search box that appears, type in a portion of the title you are looking for. If the title is available, it will display under the search box. Click the circle to select the video and then click the “Next” button. 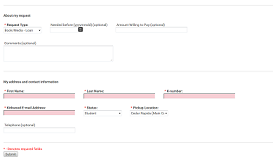 A window will then appear asking how you want the object displayed in your Talon site. It is recommended that you select either “Dynamic Link” or “Copy as Content” that way if any changes are made to the existing link, you will not lose access. After you click the “Next” button here, you will be asked if you want the video to open in a new window or tab. We recommend you check this box as some users may have difficulty opening the video within the Talon shell. 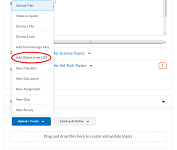 Once you have selected this, click the “Create Topic” button, which will insert your VOD link into your selected module. Click the created link to view the video. If you are experiencing difficulty finding a video on VOD, contact Scott Stiffler from Master Control, as some videos may not be connected with LOR yet. In order to remain copyright compliant, a film must be owned by Kirkwood or the instructor before it may be placed within VOD. Please contact the library@kirkwood.edu if you would like a DVD purchased for your class and put on VOD by Media Services. A link will then be provided for you to place in Talon. Note that VOD is not operated or maintained by the Library, and therefore, librarians may not be able to answer technical questions or problems you may be experiencing with the system. Fill in the form below and bring it to the library together with your reserved items. Please plan ahead and allow two business days for the library to process your request. 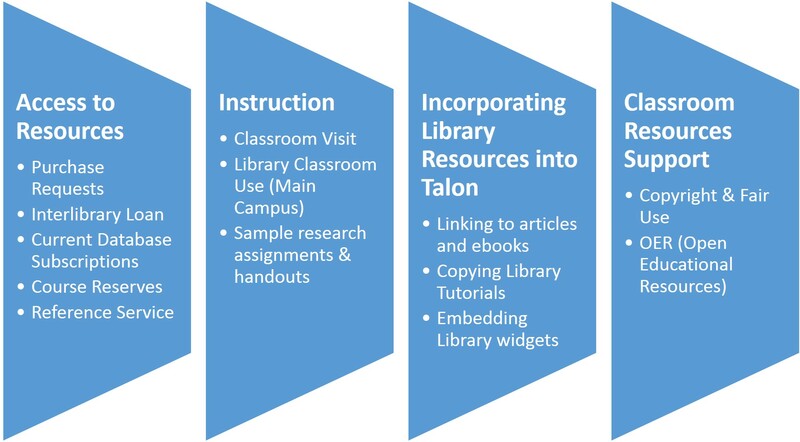 We are happy to help you with library research for your teaching, research, and professional development needs. If you are currently working on or will be working on such an endeavor we can schedule a face to face meeting with you to determine where to obtain relevant materials. Because of the complexity of such requests, we have found that the face to face interview approach generates the best results for all parties.